I laugh so much (and often out loud) whenever I watch Friends. Seriously, it doesn’t matter how many times I’ve watched an episode from the series but I’d still laugh at the same funny moments over and over again. And there are sweet scenes in the show that’d make my eyes well up at times. The most recent episode that made me go “awwwwww” and tear up like a baby was when Phoebe and Mike are saying their vows to each other in The One With Phoebe’s Wedding (season 10, episode 13). And the happy couple live happily ever after. Sometimes the story that a movie or TV show depicts is so inspiring and heartwarming that it fills me with hope and happiness for the future. 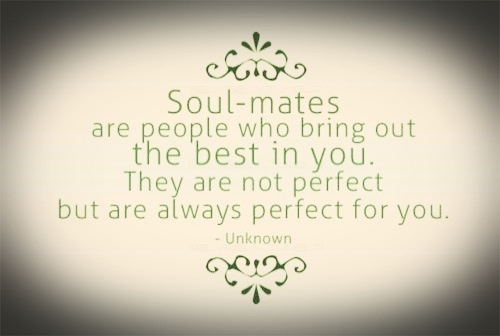 I can’t wait for my turn to find my soulmate who’d be perfect for me in almost every way and we’d laugh every day because we know how lucky we are to have found each other. I read this post quite a few days ago, and it has stuck with me – I’ve been on a Friend’s kick. Phoebe, the oddball who never really had a real relationship, or a real family, she finally gets married and wants it so badly she freezes her little tush off for it. That’s love. And that quote about the nice eyes, so Pheobe! But this post really made an impact on me, for that I would like to nominate you for the One Lovely Blog Award – http://wp.me/25ZF2. I hope like you, to find that kind of love one day.